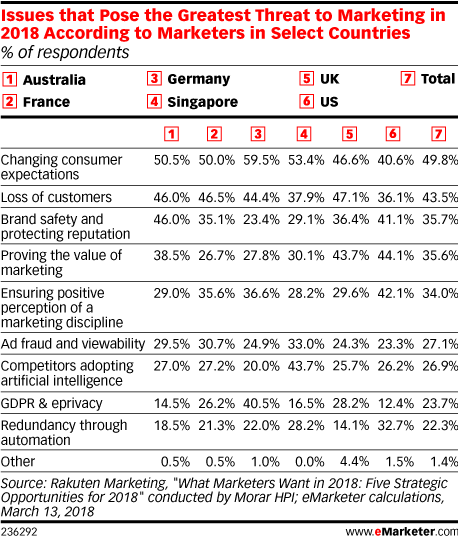 Data is from the March 2018 Rakuten Marketing report titled "What Marketers Want in 2018: Five Strategic Opportunities for 2018" conducted by Morar HPI. 1,118 marketers worldwide were surveyed in January 2018. Respondents were from Australia (n=200), France (n=202), Germany (n=205), Singapore (n=103), the UK (n=206) and the US (n=202).